The Department of Homeland Security (DHS) has informed the US District Court in District of Columbia that all work permits under H4 visa would be canceled in the next three months. are “making a solid and swift progress in proposing to remove from its regulations on certain H-4 spouses of H-1B non-immigrants as a class of aliens eligible for employment authorisation”. 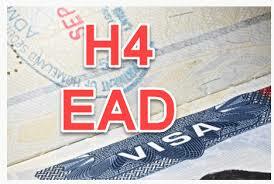 Note :- Work permits issued under H-4 Visa is facing a ban in next 90 days.